Why allowing your kids to play outside is important for their growth? 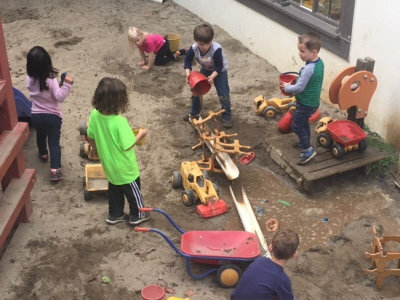 We play outdoors every day in both of our developmentally appropriate play yards. (Approximately 35 minutes in EACH yard). Large Muscle Play’s purpose is to allow children to move and choose activities that will continue to develop the muscles of their legs, arms and torso – improving balance, coordination and developing physical confidence. These activities give children the opportunity to develop friendships and stimulate language as well. 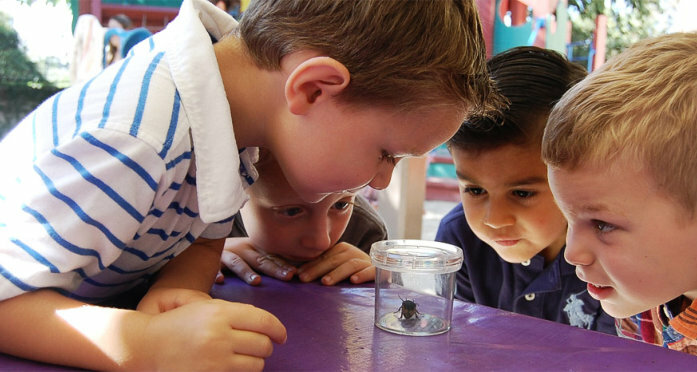 One of the fundamental reasons why outdoor play is critical for young children in our early childhood program is that many of the developmental tasks that children must achieve—exploring, risk-taking, fine and gross motor development and the absorption of vast amounts of basic knowledge—can be most effectively learned through outdoor play.